Chanel was my first introduction to the world of haute beauty. The day I swapped my muddy brown plastic-cased Revlon lipstick for that first smooth, sleek, ebony-tinted tube of Rouge Coco from Chanel was when the world of makeup and perfumes drew me in forever and ever. There followed many years of forsaking meals and rent money to buy the latest Le Vernis or Soleil Tan de Chanel. And even though friends and relatives thought I was crazy (and extravagantly superficial!) this was a love affair that sustains. Behind this siren call of Chanel was the fairytale aura that’s always surrounded the lady. 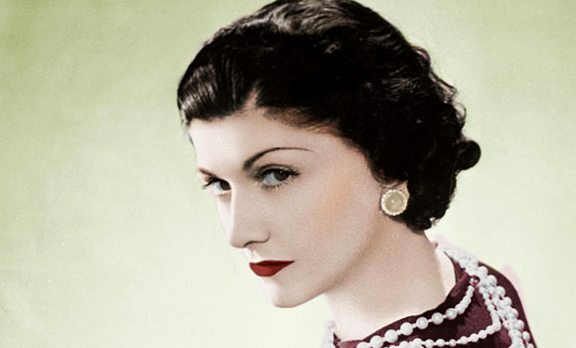 Part Cinderella, part Lonely Mermaid, Coco Chanel’s story was evidence that those who dream can achieve, despite the odds. Or sometimes, even because of the odds. For who is to say that Coco would have achieved half as much if she had been born in an upper crust noble family with pots of money and a culture where women only looked ornamental? Where there was no struggle, no strife, no burning desire to rise above one’s circumstances and prove anything? Isn’t it possible that if you changed the foundations of her story, it would have changed the very personality that literally redefined fashion and beauty in the 21st century? For instance, new research brings to light how closely Chanel’s aesthetics were linked to Aubazine, the orphanage of her childhood. Even ‘5’, her signature number draws from this memory and we all know how it has been the turning point for most of Coco’s signature style. But first, lets step back to the beginning. Gabrielle Bonheur Chanel, aka Coco, was born on 19 August, 1883 in a poorhouse in Loire Valley, France. The employees of the facility were illiterate and her name was spelled ‘Chasnel’ instead of ‘Chanel’. She learned to sew while staying in an orphanage of the Roman Catholic convent of Aubazine. Her nickname – Coco – overshadowed her real name (Gabrielle) after her 1905 rendering of the song Qui qu`a vu Coco dans le Trocadero for a crowd of soldiers at a music hall in a small French town. However, you already know all this by heart, don’t you? What you probably don’t know is how much Aubazine shaped Chanel’s aesthetics. In fact, No. 5 was a direct product of Coco’s stay in this place. 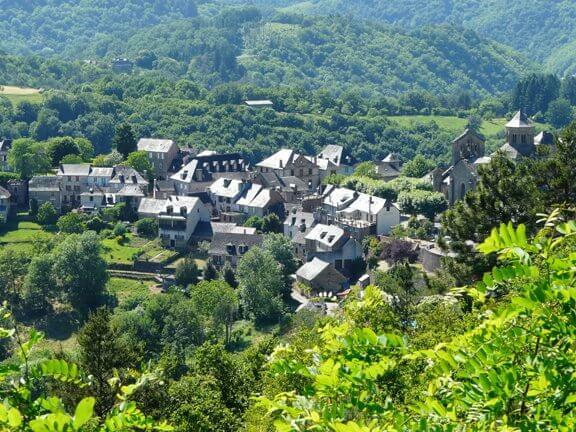 For centuries, devotional life at Aubazine had revolved around fragrance – the echoing nave had been the location of perfumed rituals for hundreds of years, while the ravines around the abbey were always abloom with richly scented flowers. And that was not all: even the number ‘5’ was an intrinsic heritage of this abbey. Aubazine had been founded by Cistercians – a Catholic order which placed great emphasis on numerology. The number ‘5’ signified the pure embodiment of a thing, its spirit, its mystic meaning – something untouchable and beautiful. Even the paths that led Chanel to her daily prayers were laid out in circular patterns repeating the number, sometimes mapped out in stars. And indeed it brought good luck in spades, building the base for a career that has far outlived its architects. Time passed and in 1970, Coco created No. 19 , her last fragrance – a green blend of iris, neroli, vetiver, and cedar wood – which she named after her birth date (August 19). Initially meant to be gift for herself, it soon became a major hit with Chanel devotees. A couple of years back, the House of Chanel launched an update on the original: No. 19 Poudré . Personally, I still prefer the original No. 19 but perfumer Jacques Polge’s soft new interpretation stays pretty true to the original’s neroli top notes, iris heart, and vetiver base notes, adding mandarin orange, jasmine absolute, white musk, and tonka bean. Which one are you wearing to commemorate this legendary lady today? No. 5, Coco Mademoiselle or No. 19… which is your favorite perfume from Chanel?